Exciting news, we have now submitted a planning application and funding application to undertake this necessary work at Meanish. To celebrate the Alumni & Homecoming event, the local community and alumni guests are invited to a hog roast BBQ, music and dancing. Music will be provided by the Ceilidh Trail musicians and there will be a full licensed bar. All money raised is used for community benefits. All are welcome to join in the celebrations. This year is the 5th Year of the Glendale Homecoming and there is an extensive range of activities for locals and visitors alike. We hope that you will support the groups that are helping to make this year a fantastic celebration in the year of homecoming Scotland. 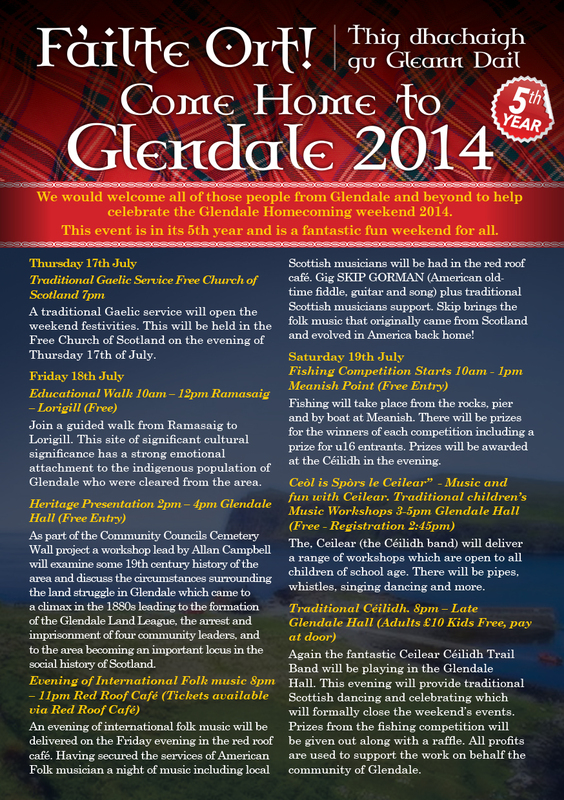 A traditional Gaelic service will open the weekend festivities. This will be held in the Free Church of Scotland on the evening of Thursday 17th of July. Join a guided walk from Ramasaig to Lorigill. This site of significant cultural significance has a strong emotional attachment to the indigenous population of Glendale who were cleared from the area. As part of the Community Councils Cemetery Wall project a workshop lead by Allan Campbell will examine some 19th century history of the area and discuss the circumstances surrounding the land struggle in Glendale which came to a climax in the 1880s leading to the formation of the Glendale Land League, the arrest and imprisonment of four community leaders, and to the area becoming an important locus in the social history of Scotland. An evening of international folk music will be delivered on the Friday evening in the red roof café. Having secured the services of American Folk musician a night of music including local Scottish musicians will be had in the red roof café. Gig SKIP GORMAN (American old-time fiddle, guitar and song) plus traditional Scottish musicians support. Skip brings the folk music that originally came from Scotland and evolved in America back home! 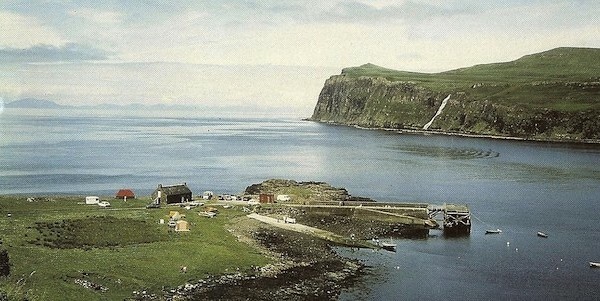 Fishing will take place from the rocks, pier and by boat at Meanish. There will be prizes for the winners of each competition including the new Macpherson prizes for u16 entrants. Prizes will be awarded by the GCC at the Céilidh in the evening. Ceòl is Spòrs le Ceilear” – Music and fun with Ceilear. The, Ceilear (the Céilidh band) will deliver a range of workshops which are open to all children of school age. There will be pipes, whistles, singing dancing and more. 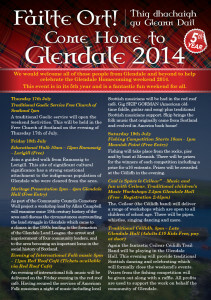 Again the fantastic Ceilear Céilidh Trail Band will be playing in the Glendale Hall. This evening will provide traditional Scottish dancing and celebrating which will formally close the weekend’s events. Prizes from the fishing competition will be given out along with a raffle. All profits are used to support the work on behalf the community of Glendale.